Betty passed away Tuesday, September 27, 2016 at her home in Kalamazoo. She was born March 9, 1933 in Marshall to Mr.& Mrs. West. Betty had worked for Gibson Guitar for 18 years and for GM for 15 years. In her spare time she enjoyed working in her flower gardens, watching the hummingbirds and shopping. Betty enjoyed staying busy and was always working or taking care of her family. For 63 years she was married to Richard “Hank” Collick who passed away in 2013. Surviving are her children, Pamela Collick of Portage, Cindy (Glen) Canavera of Washington State, Richard Jr. (Mandy) Collick of Kalamazoo, Diana Collick of Three Rivers, Deb (Steve) Burd of Plainwell and Lisa Decker of Plainwell; 8 grandchildren, Michelle, Scott (Courtney), Bryon (Jennifer), Greg (Tabitha), Jessica, Branden, Ryan and Blake; 13 great-grandchildren, Devin, Kaylee, Sarah, Kimberley, Hunter, Andrew, Maygen, Trent, Conner, Chase, Ally, Luci and Kylee; 1 great-great-grandchild, Joseph and her siblings, Freda Allison of Otsego, Fred Caffery of Lansing and George Rogers of Battle Creek. She was preceded in death by her mother, Maxine (Ison) Goulette, her husband, Richard and brother, Robert Caffery. Friends may meet with Betty’s family starting at 1:00 P.M. Monday, October 3, 2016 at the Winkel Funeral Home, Otsego until the time of the funeral service at 2:00 P.M. with Pastor Steve Nichols officiating. Contributions in memory of Betty may be made to Berean Baptist Church in Portage. Billy passed away September 28, 2016 surrounded by his family at his home in Plainwell. He was born May 11, 1935 in Franklin County, Alabama the son of Austin and Irene (Thomas) Swinney. Billy had worked at Coopers Foundry, Essex and had retired in 2000 from Hammond Machinery and Roto Finish. After his retirement he enjoyed doing masonry work especially chimney repairs. In his spare time he loved fishing, bingo, meeting his friends for coffee at Harding’s, playing pool at the VFW and also enjoyed woodworking and making birdhouses for his family. Billy had a great sense of humor and loved his family very much. In 1989 in Alabama he married Marion Holly who survives. Also surviving are his son, Jason (Kim) Swinney; step-son, Greg Evink; 9 grandchildren, Kristen, Jason “JR”, Joseph, Ashley, Dillon, Lexie, Hunter, Lauren and Casey; 4 great-grandchildren, Emily and Payton Swinney and Amelia and Zayne Bausch and his siblings, Birdy and Taff. He was preceded in death by his parents and siblings, Betty, Alvin, Junior and WC. Billy’s family would like to thank Hospice Care of Southwest Michigan for their compassionate care and support. A memorial service will be held Saturday, October 1, 2016 at 4:00 P.M. at the Winkel Funeral Home, Otsego with Celebrant, Bill Rose officiating. Contributions in memory of Billy may be made to his family for expenses. 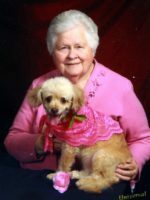 Betty passed away Tuesday, September 27, 2016 at Meadow Woods Nursing Home in Bloomindale. She was born January 1, 1923 in Valparaiso, Indiana the daughter of Charles and Mabel (Catherman) Burroughs. Betty graduated from Otsego High School in 1941. Later that same year on August 10 in Allegan she married Lester Phillips. 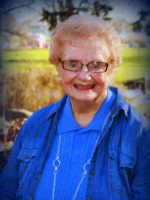 Betty had worked for the Allegan County Intermediate School District for 25 years as a teacher’s aide in the Special Education Department until her retirement in 1984. 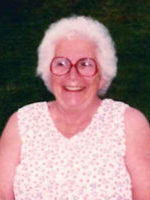 After her retirement she traveled across the US and enjoyed spending her summers camping at Selkirk Lake in Shelbyville. In her spare time Betty loved reading, playing cards, golfing and bingo. Surviving are her children, Robert (Linda) Phillips of AZ, James (Judy) Phillips of Kalamazoo, Michael (Linda) Phillips of Gobles, Terry (Gloria) Phillips of Allegan and Thomas (Karen) Phillips of Plainwell, many grandchildren and great-grandchildren along with her sister-in-law, Joan Burroughs. She was preceded in death by her parents, husband, Lester in 1989, son, Ronald Phillips in 2008 and brothers, Orrin “Tex” Burroughs in 1992 and Robert Burroughs in 2015. Friends may visit with Betty’s family starting at 12:00 P.M. on Saturday, October 1, 2016 at the Winkel Funeral Home, Otsego until the time of the funeral service at 1:00 P.M. with Pastor Jim Davis officiating. Burial will take place at Fort Custer National Cemetery in Augusta on a later date. In lieu of flowers contributions in memory of Betty may be made to Great Lakes Hospice Foundation, 900 Cooper St., Jackson, MI 49202. 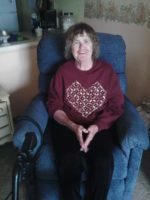 Helen I. Bloom of Otsego, MI passed away Friday, September 23, 2016 in Kalamazoo. She was born September 25, 1929 in Pearl, MI the daughter of Joseph and Goldie (Herring) Larsen. Helen enjoyed following NASCAR, knitting and cats. Most of all Helen loved her family especially her grandchildren. On November 15, 1946 in Fennville she married Albert Bloom Jr who passed away in 1994. Surviving are her children, Robert (Joyce) Bloom of Plainwell, Roger (Sandra) Bloom of Arizona and Kathy Smith of Otsego; 4 grandchildren; 13 great-grandchildren; 1 great-great-grandchild; sister, Delores Getman of South Haven and many nieces and nephews. She was preceded in death by her parents, husband and siblings, Charles and Richard Larsen and Marge Howe. According to her wishes cremation has taken place. Burial of ashes will take place at Mountain Home Cemetery, Otsego. A memorial service will be held at 4pm on Saturday, October 1, 2016 at the Otsego United Methodist Church with Pastor Joe Shaler officiating. Contributions in memory of Helen may be made to your favorite charity. 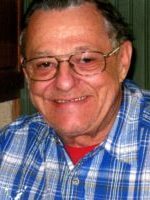 Stephan ‘Steve’ Makarewich of Otsego, MI passed away Thursday, September 22, 2016 at Bronson Hospital. He was born July 1, 1948 in Hammond, IN the son of Stephen and Emma (Paloney) Makarewich. On February 11, 1984 in Hammond, IN he married Karen Call who survives. He had worked as a truck driver for Kelly Dewatering for 17 years retiring several years ago and had worked part-time at Meijer. In his leisure time he enjoyed airplanes and trains especially steam engines and had built boats and collected coins. Surviving are his children, Michael (Angelina) Makarewich of Plainwell, Shaun (Alanna) Makarewich of Maine, Ryan (Hailey) Makarewich of Watervliet and Kristal (Alec) Makarewich of Otsego; 5 grandchildren; 2 sisters and his mother. Preceding him death was his father and a brother Nick. Friends may visit with Stephen’s family starting at 11:00 A.M. on Monday, September 26, 2016 at the Winkel Funeral Home, Otsego until the time of the funeral service at 12:00 Noon with Celebrant, Bill Rose officiating. Burial will follow at Mt. Home Cemetery, Otsego. Jim passed away from complications following surgery on Saturday, September 17, 2016 at Bronson Hospital. He was born September 7, 1935 in Martin Township the son of Dean and Martha (Pike) Lapham. On May 14, 1955 he married Joyce Fuss at Sacred Heart Church in Watson Township. In 1962 Jim started Lapham Heating and Plumbing and continued working until his retirement in 2000. Jim enjoyed coaching his son’s sports team when he was growing up and had been a member of the Martin School Board. He was also a member of the Otsego Moose Lodge, Otsego Elks and Martin Lions Club. In his spare time Jim enjoyed watching old westerns, following the Detroit Red Wings and Uof M Wolverines, bowling on area leagues and travel with his wife. Surviving are their children, Ronda (Tim) Beeke of Kalamazoo and Ryan (Michelle Bausch) Lapham of Dorr; son-in-law, Bob Boersma; 6 grandchildren; 7 great-grandchildren; siblings, Darlene, Sylvia, Jerry and Paul along with many nieces and nephews. He was preceded in death by his parents; wife, Joyce; daughter, Renee Boersma and brothers, Don and Duane. Friends may visit with Jim’s family starting at 10:00 A.M. on Wednesday, September 21, 2016 at the Winkel Funeral Home, Otsego until the time of the funeral service at 12:00 P.M. with Celebrant, Bill Rose officiating. A private family burial will take place at Hicks Cemetery in Watson Township. Contributions in memory of Jim may be made to his favorite charity, Wings of Hope Hospice. 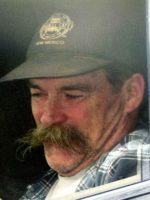 Dale Barnhart of Allegan, MI passed away Friday, September 16, 2016 in Battle Creek. Dale was born April 11, 1945 in Kalamazoo the son of Floyd and Mary (Harris) Barnhart. 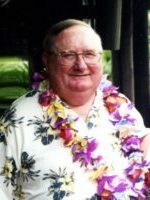 After graduation, he worked at Brunswick Corp. in Kalamazoo for several years before serving his country in the U.S. Navy during the Vietnam War. Following his time in the service Dale worked on the family farm before going to Sebright Products in Hopkins where he worked as a welder until retiring in 2000. 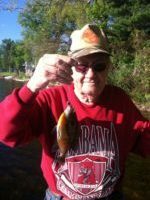 Dale loved hunting for morel mushrooms; he was a great cook, enjoyed ice fishing and was a skilled golfer. He is survived by his wife the former Glenda Digby; 4 children, Brenda (Alan) James of Kalamazoo, John (Nicole) Barnhart of Plainwell, Nettie (Dennis Nix) Pidgeon of Portage and Randy (Amanda) Barnhart of Allegan; 10 grandchildren; his brothers, Daniel, Niel and Steven. Friends may meet with Dale’s family for a memorial visitation Wednesday, September 21, 2016 from 6 – 8 P.M. at the Winkel Funeral Home, Otsego. Burial of ashes will take place Thursday, September 22, 2016 at 1:30 P.M. at Fort Custer National Cemetery with full military honors. Contributions in memory of Dale may be made to Wounded Warriors. Violet passed away Friday, September 16, 2016 in Kalamazoo. Violet was born October 10, 1932 in Alamo Township to Harold and Marjorie (Fox) Thompson. 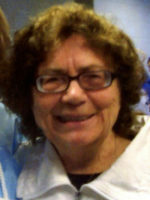 Violet had worked for Allen Test Products for 23 years until her retirement. During retirement she had worked with her daughter as a daycare provider at Creative Play Station for several years. She enjoyed socializing, going to church and was always on the go. She liked playing Wii bowling, crocheting she enjoyed knitting washcloths and Christmas ornaments for her family. She was a member of the Third Order of St. Francis . On November 12, 1954 Violet married Jackie Hesser who preceded her in death in 2009. Surviving are four children, Cyndy (Roger Siebert) Pawlicki of Martin, Garry (Elizabeth) Hesser of Gobles, Carl (Chris) Hesser of Arkansas and Theresa (Steven) Borst of Plainwell; 13 grandchildren; 15 great grandchildren; and her siblings, Margaret Eldridge and Eddy Thompson. Violet was preceded in death by her parents, a daughter, Deborah in 1983 and a sister Leona. The family will receive friends on Tuesday, September 20, 2016 from 11:00 until the service begins at 12 Noon at the Winkel Funeral Home, Otsego with Pastor Jason Zimmer officiating. Contributions in memory of Violet may be made to the American Diabetes Association or the National Kidney Foundation. Wilda N. Adams age 84 passed away Thursday, September 15, 2016 at Rose Arbor Hospice. She began her life on a farm in Dongola, IL on February 10, 1932, the daughter of Harvey and Catherine (Cook) Bourland. Due to her mother’s illness at 3 months she went to live with her paternal grandmother and step-grandfather, Arminda and Eli Short. She started first grade at the age of 4 and walked 2 miles to the country school. When she was 12 they moved to a farm between Otsego and Plainwell. 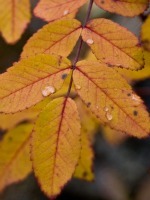 Wilda graduated from Otsego High School in 1949. At age 18 she went to work for the Kalamazoo Stove and Furnace Co. in the office as an accounting and payroll clerk and then went to work at Upjohn. She married her high school sweetheart Larry K. Adams in 1951 and they moved to a Navy base at Lakehurst Naval Air Station in Lakehurst, N.J. She worked for the N.J. Natural Gas Co. until their first son was born. Wilda then became a stay at home mom and did not work outside their home until all 4 sons graduated from high school. She then worked as a dental receptionist until she retired in 1984. Wilda was a loving wife, mother, grandmother and great grandmother who loved being with her children and grandchildren, hosting family get togethers, traveling and the oldies but goodies music of the big band era. She loved doing crafts, sewing, cooking, quilting, decorating cakes, gardening, fishing, reading and helping her husband with the Boy Scouts as a Den Mother. Wilda was always ready to lend a helping hand when needed. Surviving are her sons, Michael (Theresa Swedo) of Chugiak, Alaska, Gary (Christine) of Plainwell, John (Carolyn Harden) of Richland and Mark (Brenda) of Pine Lake; 3 grandchildren, Mark (Shanda) Rouse, Amanda (Doug) Peterson and Kyle Adams; 6 great- grandchildren; her sibling, Joann (Gerald) Dillow and Hubert Bourland and many nieces and nephews. She was preceded in death by her dear husband, Larry in 2004, her parents and siblings, Myron, Dean, Willard, Charlie and Bobby Bourland, Loretta Sorensen and Emigene Walters. Friends may visit with Wilda’s family starting at 1:00 P.M. on Saturday, September 17, 2016 at the Otsego United Methodist Church until the time of the funeral service at 3:00 P.M. with Pastor Joe Shaler officiating. Burial of ashes will take place at Fort Custer National Cemetery in Augusta. Contributions in memory of Wilda may be made to Christian Neighbors or the American Diabetes Association. Linda passed away Sunday, September 11, 2016 at her daughter’s home in Lawrence. She was born August 19, 1944 in Kalamazoo the daughter of Roy and Viola (Truax) Chamberlain. For many years Linda was a nursing assistant and cashier until her retirement in 1989. On August 19, 1990 in Baroda she married Tom Keefer who passed away in 1996. Surviving are her children, Rhonda (Dennis) Szczepanski, Lareen Little and Mikel Chamberlain; 6 grandchildren; 7 great-grandchildren; brothers, Roger (Bev) Chamberlain and David Chamberlain; sister, Betty (Gordon) Maneke along with many nieces and nephews. She was preceded in death by her parents; husband; sister, Barbara Horn and brother, Eugene Chamberlain. Friends may visit with Linda’s family starting at 10:00 A.M. on Friday, September 16, 2016 at the Winkel Funeral Home, Otsego until the time of the funeral service at 11:00 A.M. with Celebrant, Bill Rose officiating. Burial will take place at 2:00 P.M. at Ruggles Cemetery in Baroda. Contributions in memory of Linda may be made to Great Lakes Caring Hospice or to the Area Agency on Aging.